It looks like there’s more to that old adage “An apple a day…” than previously thought. New York City health officials recently approved the Fruit and Vegetables Prescription Program, which allows health practitioners to prescribe fruits and vegetables (instead of pills) to patients who are either obese or overweight. Launched by Deputy Mayor Linda Gibbs and Health Commissioner Thomas Farley last week, the program is designed to ensure low-income families have decent access to healthy food. Obese or overweight patients may be prescribed Health Bucks under the new program, NPR reports. 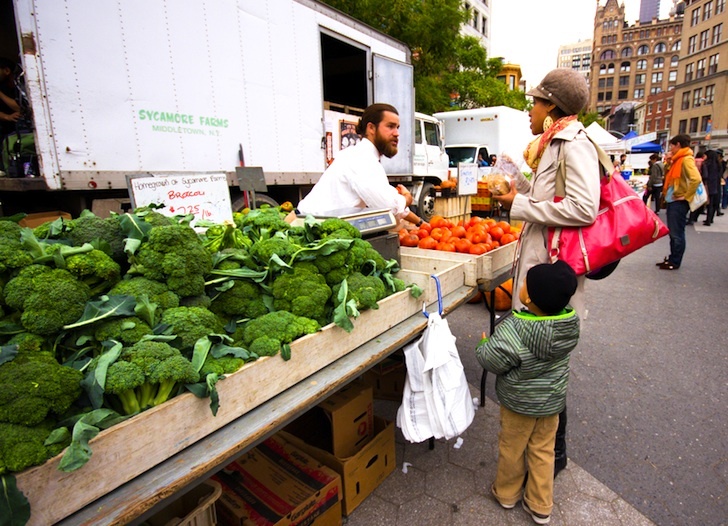 They can then redeem these at 140 participating local farmers markets under the GrowNYC initiative that aims to make good, healthy, nutritious food available to a larger portion of the population. Initially started by Wholesome Wave, a non-profit organization concerned that everyone deserves to eat wholesome food, a version of the fruit and vegetables prescription program has spread to seven states. Lincoln Medical Center in the Bronx and Harlem Hospital Center became the first New York State facilities to participate, and now the city has made it an official program. Each person under the program will receive $1 in Health Bucks each day for up to four months. Every month patients will check in with their doctors or at the hospital. Their weight and body mass index will then be reviewed, and prescriptions will be renewed if need be. They can also receive nutritional counseling, according to NPR. One woman told NPR that her son has already lost 40 pounds under the scheme, and she shed some weight as well. Is this a more feasible solution to the city’s obesity problems than banning sugary sodas? Caution. If you do not follow the prescriptions your health insurance provider can use a small loop hole to cancel you for not following doctors orders. Not using the Helath Bucks gives them the documentation to they need to accomplish this. Insurance companies in California & Oregon are organizing the same thing.